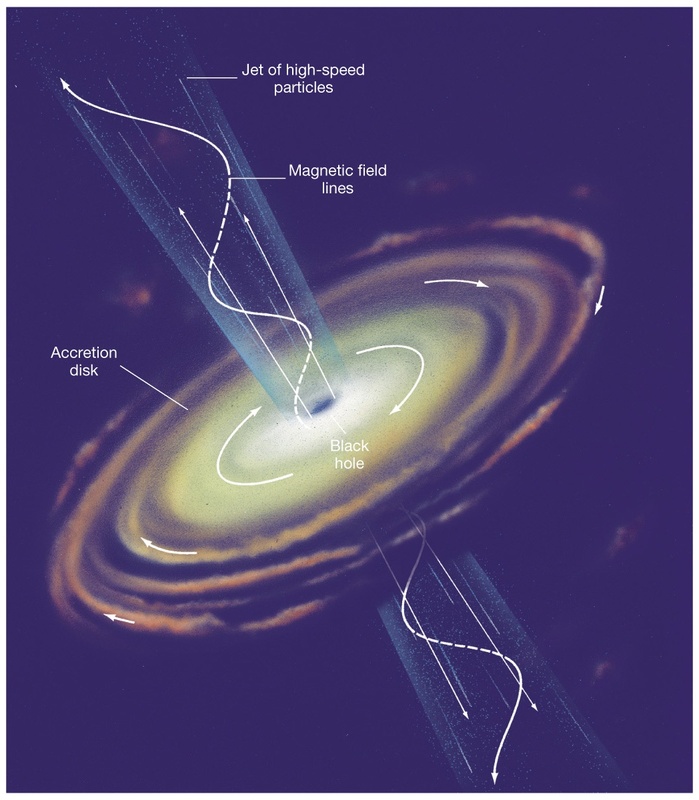 Home » For Your Information » What are Blazars? For most people they have only heard of cool space terms like black holes, supernovas or maybe even quasars. Well blazar isn’t a common term you’ll hear a lot and it’s actually not very different from a quasar. The picture above is essentially a blazar. It has an intensely bright central nucleus (or part of a classification called “active galactic nuclei” or AGN) containing a supermassive black hole. What’s really crazy about blazars is that the emitted light which sometimes includes extremely high energy gamma rays, can be over a hundred million times more energetic than the highest energy X-rays that the Chandra X-ray Observatory can study. Now just imagine a swirling disk filled with massive amounts of energy. We are talking about high energy gamma rays shooting out at 99% the speed of light! Also to make you feel even more uneasy, blazars are viewed with the barrel aiming right at Earth (actually that is the defining difference between the term quasar vs. blazar, is that a quasar isn’t necessarily pointing towards us whereas blazars ARE). It’s usually the down jet pointing towards Earth but most of these are so far away that they can’t harm us. The jets are interesting as the beam is shot out by a combination of intense magnetic fields and powerful winds from the accretion disk. There’s a better idea of how blazars work. It truly is frightening as well as unbelievable that these exist out in the universe. You can only imagine what that thing would do to you if your space ship was travelling by and you suddenly get hit by an immense wave of gamma radiation. However to make you feel a little more at ease here is a picture of what I mean when I say blazars are pointed at us. See it’s not so bad? Nevertheless, more studies need to be done on these since there are only ~200 examples out there. Scientists want to know what provokes this process to begin with anyway. I’m sure in the next 3-5 years we will have enough data to understand these death rays. What are blazars? 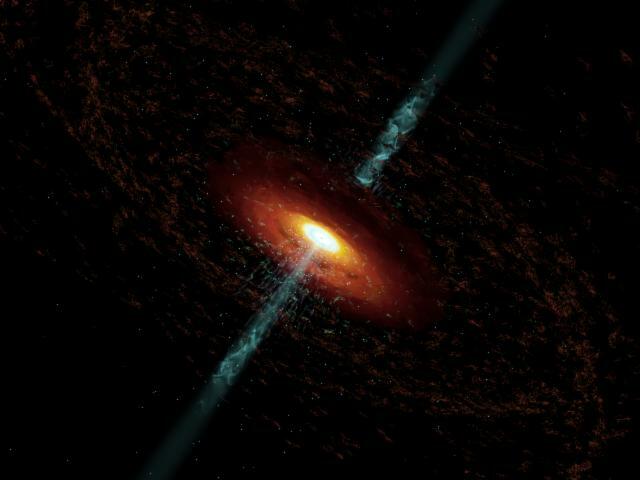 Well it's essentially a compact quasar that shoots jets on both sides. However how do these crazy beasts work? Nice Pics Zain, and a concise description. I like it, especially since in my novel aliens from another galaxy must migrate to avoid the effects of a Blazar on their home worlds. PS don’t let the email addy throw you.